At the 2014 meeting of the International College of Neuropsychopharmacology, researcher Joseph Zohar presented a poster on the effects of early post-stressor intervention with the drug agomelatine in animals who showed behavioral and molecular responses to stress that served as a model of post-traumatic stress disorder (PTSD). Agomelatine is available clinically as an antidepressant in Canada and Europe (but not in the US), and can also reduce anxiety and re-synchronize circadian rhythms. Agomelatine is a melatonin (MT1/MT2) receptor agonist and a serotonin 5HT2C antagonist (increasing dopamine and norepinephrine in the frontal cortex). 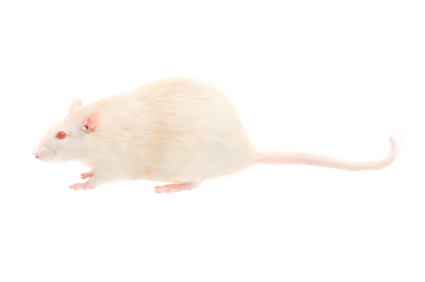 Long-term behavioral, molecular and structural effects of the drug were assessed in animals. Adult male Sprague-Dawley rats were exposed to the scent of a predator for 10 minutes, and one hour later they were treated acutely for this stress with agomelatine (50mg/kg i.p.) or placebo. Agomelatine decreased the prevalence of extreme, PTSD-like behavioral and molecular responses to the stressor, such as freezing in place and increased corticosterone. Agomelatine also normalized decreases in brain-derived neurotrophic factor (BDNF) observed in the dentate gyrus of the hippocampus, the cortex (layer III), and the basolateral amygdala. In line with this, agomelatine-treated stressed animals displayed significantly increased number and length of dendrites at glutamate synapses in the hippocampus (including the dentate gyrus and CA1) and reversed the hippocampal neuronal retraction observed in the rats who were given the placebo. Agomelatine also affected the expression of clock genes in the rats, which regulate biorhythms. These genes lead to the production of the major clock gene proteins Per1 and Per2. Agomelatine normalized Per1 increases in three parts of the brain: the CA3, another glutamate synapse near the dentate gyrus; the suprachiasmatic nucleus over the optic chiasm, important for circadian rhythms; and the basolateral amygdala. Per2, a protein that also drives circadian rhythms, increased in the CA1 synapse of the hippocampus, the suprachiasmatic nucleus and the basolateral amygdala of the stressed rats.